We do research and teaching in molecular evolution and phylogenetics, bioinformatics, microbial genomics, transcriptomics, statistical modelling, evolutionanry genetics and biomedical and biopharmaceutical sciences. You are welcome to join us, either as visiting scientists or PhD, MSc or Honors students. Xia, X. 2018. 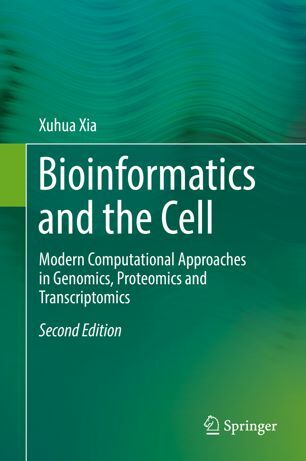 Bioinformatics and the cell: modern computational approaches in genomics, proteomics and transcriptomics. Springer. 2nd Edition. ISBN:978-3-319-90682-9 Institutions with SpringerLink subscription can download the book for free or get a hardcopy for $24.99. If you do not have access to SpringerLink, contact me or request specific chapters you are interested at ResearchGate. This book features comprehensive coverage, detailed numerical illustration, and critical review of bioinformatic methods and applications. You may request a review copy here by clicking 'Access an Online Book Review Copy', or a desk copy here if you use the book for a course.